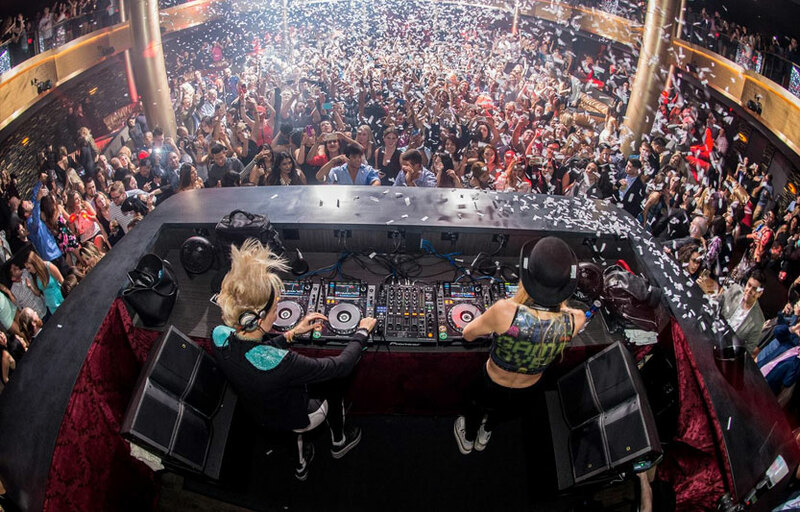 Modeled after her sister club in Las Vegas, Omnia San Diego ups the ante for San Diego nightlife, featuring top tier talent on a weekly basis, with DJs such as Gareth Emery, Afrojack, 3LAU, Calvin Harris, and Tiesto gracing the decks. When guests walk through the doors on the corner of Sixth and Island Ave., they will immediately be immersed into the dark, provocative and intriguing world that is OMNIA, replete with burgundy velvet wallcovering at the ticketing desk and a mirrored portal lined with mesmerizing LED screens. Party-goers enter the club’s main room, which comes in hot at 8,000 square feet of ornate black, gold and dark walnut tones. Gold leather banquette-style booths surround the dance floor, enhanced with state-of-the-art lighting and sound systems. Look for the signature black and gold custom wall covering and horizontal LED strips pulsating to the beat of music. Then of course, guests can make their way to the main bar before heading upstairs. For the best view of the club, VIP boxes line the 4,000-square-foot balcony that offers an exclusive vantage point of the dance floor. A separate balcony bar serves libations here, too, designed with a wallcovering reminiscent of tin ceiling patterns. Continuing upward, a 7,000- square-foot rooftop terrace incites a romantic garden scene under the stars, lined with tiered cabanas, sofas and enchanting greenery. The rooftop, with views of the Gaslamp, will also feature its own DJ booth mounted on a platform for an enhanced audience experience. The second floor gives you better views of the DJ and the bathroom / bar lines are generally shorter. Stop by the rooftop / terrace for a quick smoke. The vibe is chill and there’s also copious seating up there. If a big DJ is spinning we’d highly recommend buying presale tickets – these nights often sell out and the presale line moves much faster. Where is Omnia SD located? 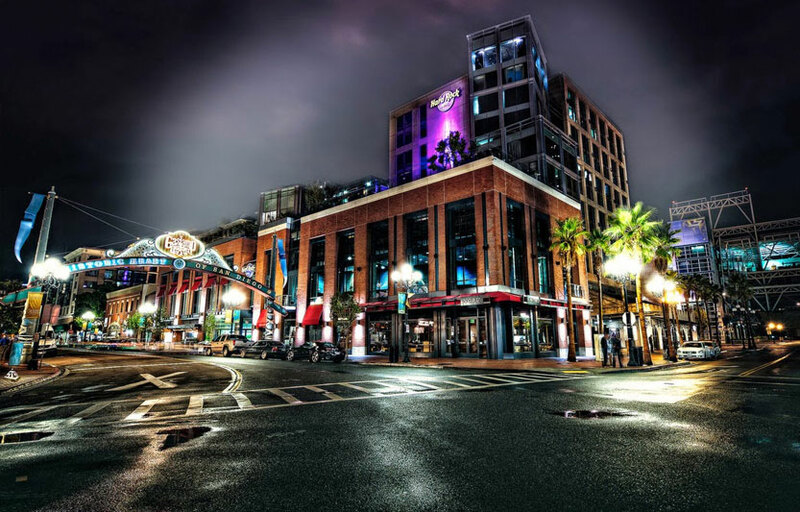 Omnia SD is located in the Gaslamp District at the intersection of Island and 6th, where Stingaree used to be. How much is cover charge at Omnia SD? Pre-sale general admission starts at $20-30 and might slightly increase at the door depending on the DJ. How long will I have to wait at Omnia SD? Because Omnia SD just opened we can’t say for sure how long the waits are. We’d recommend arriving as early as you can. Buying a pre-sale ticket (line moves pretty fast, approx. 10 min) or booking bottle service would be the best way to avoid any hassle at the door. When is Omnia SD open? Omnia is open Thursdays, Fridays and Saturdays from 9 PM to 2 AM. 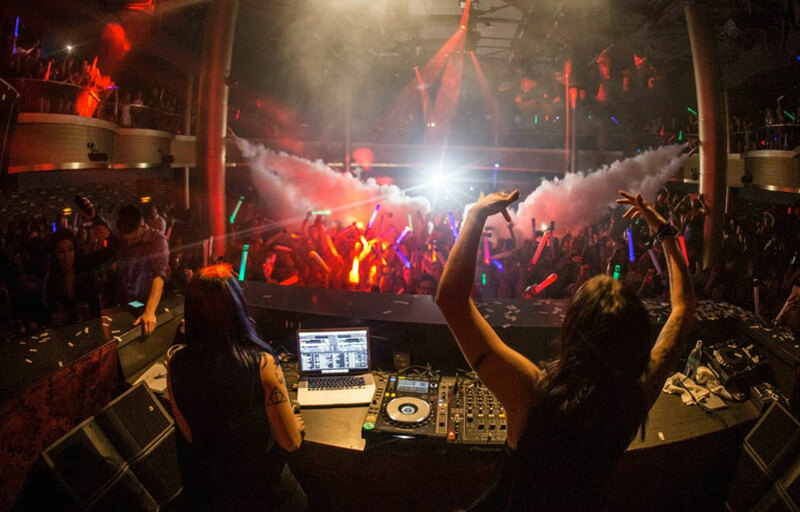 What are the best nights to go to Omnia SD? 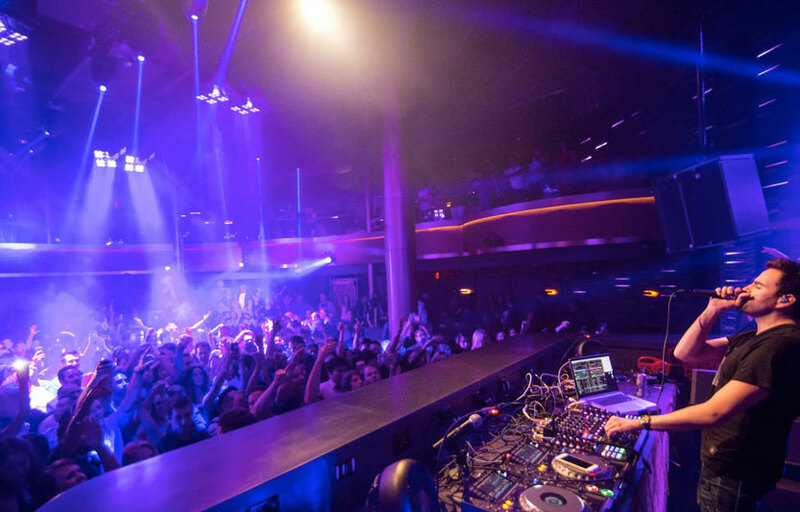 Any night is a good night to party at Omnia as every night is headlined by a big-named DJ. What is the dress code at Omnia SD? Upscale fashionable aka it’s better to dress up than down! Things not permitted: hats, sandals, sneakers, hard-soled shoes or boots, ripped or baggy clothing and athletic wear. Collared shirts are required for the gentlemen. Is there parking near Omnia SD? There is valet on site and local parking garages ranging from $10-20 depending on the night. 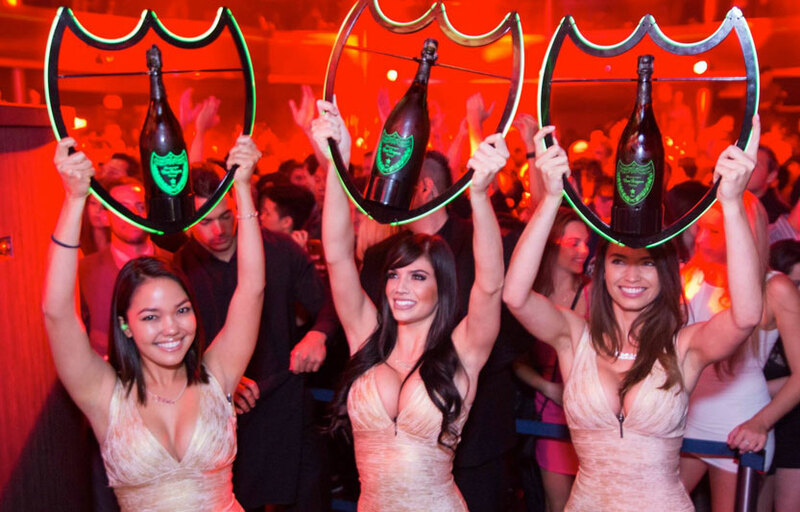 How much do drinks cost at Omnia SD? Mixed drinks run around $17 and can increase if you want premium liquor. Who are the resident DJs? Omnia has a massive line-up every night including Steve Angelo, Kaskade, Calvin Harris, Erick Morillo, Gareth Emery and more! What kind of music do they play at Omnia SD? 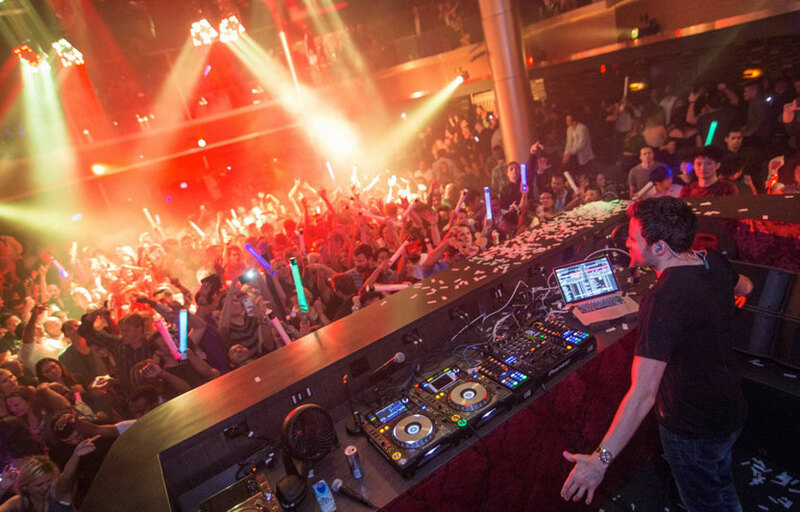 Omnia is primarily electronic dance music. However, the outdoor terrace has a DJ spinning Hip Hop and Open Format tracks. Where can I find an list of upcoming events / DJs at Omnia SD? You can download the Discotech app to see upcoming events, and book tables for Omnia San Diego. You can also visit Omnia SD’s website (make sure you have San Diego selected!) for a current list of events. Discotech is a mobile nightlife app and is not affiliated or employed by Omnia Nightclub, which is owned by Hakkasan Group. This site is for informational purposes only.